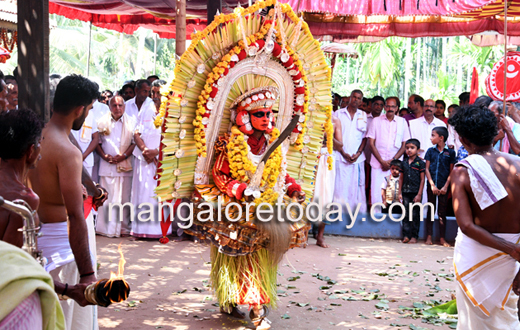 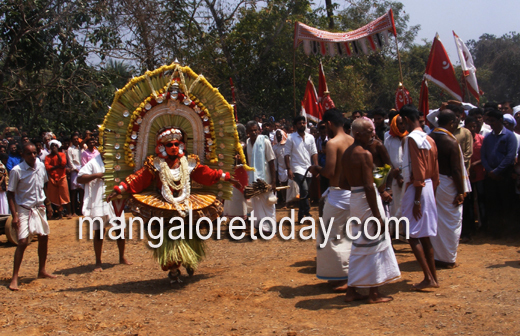 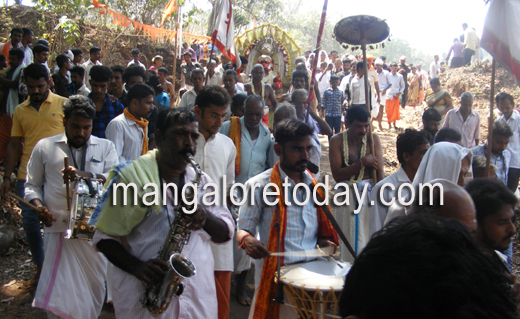 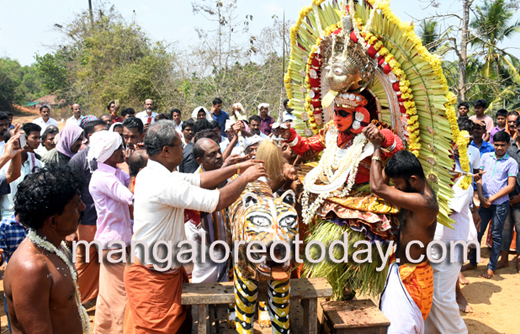 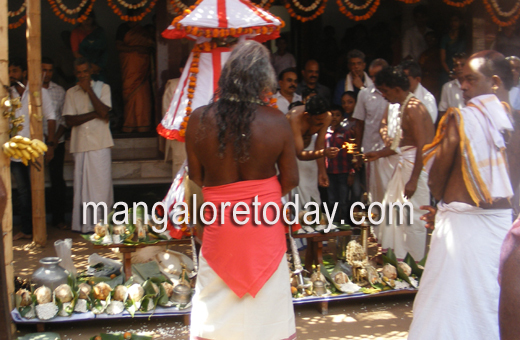 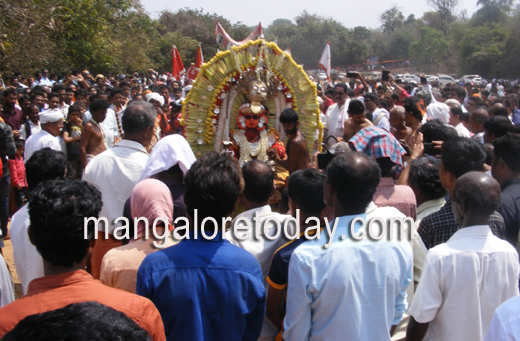 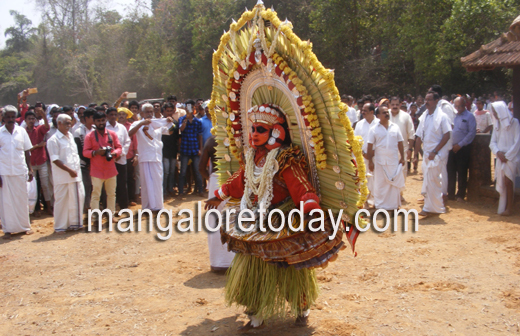 Perla, (Kasargod), March 4, 2018: The legendary Pilichamundi Nemotsava of Enmakaje was held with traditional fervour and passion at Enmakaje near Perla in Kasargod district on Sonday, March 4. 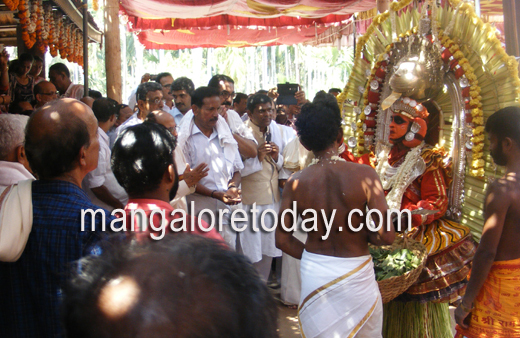 Enmakaje is the hometown of Sudhir Kumar Shetty, President, UAE Exchange. 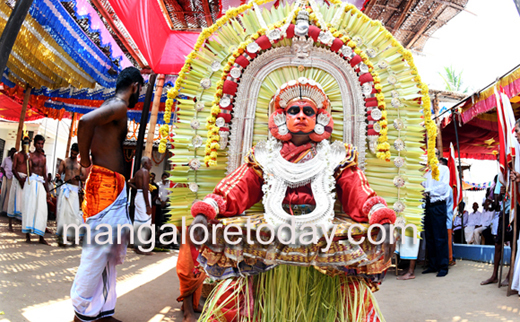 His family has been organizing the festival since time immemorial. 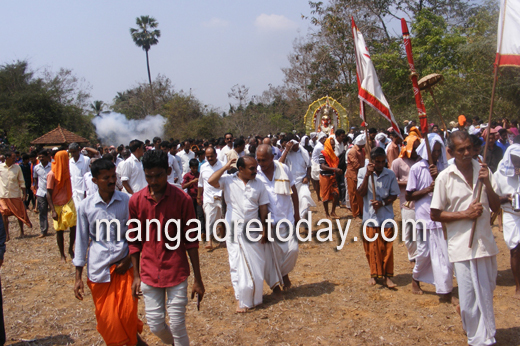 Thousands of devotees from Perla, Seraje, Poovanadka, Katukukke, Padre, Sheni village of Enmakaje Panchayath area, people surrounding area and far and wide places like Kasaragod and Mangalore participated in the Nemotsava and sought the blessings of Pilichamundi Daiva and receiving Sirimudi Arasina Prasada. 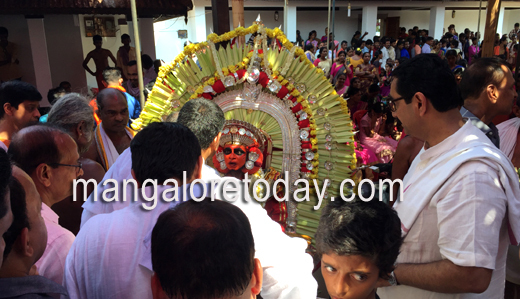 Many devotees pleaded solace with Pilichamundi (Shree Vishnu Murthy) Daiva and Daiva offered words of wisdom and blessed them all his invisible support for them throughout their life. 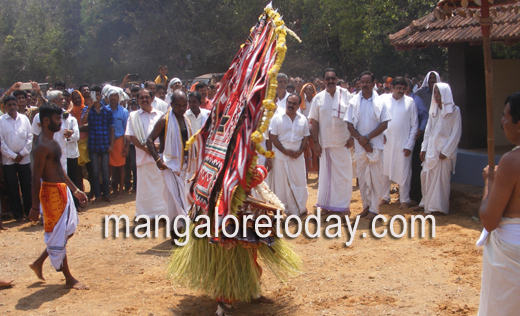 The Nemotsava is performed in the first week of March every year under the headship of Enmakaje Vishwanath Rai who represents the entire clan at all functions and religious ceremonies. 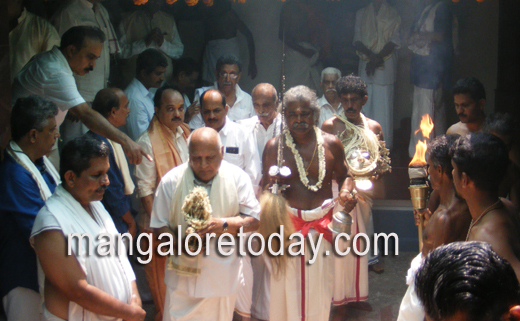 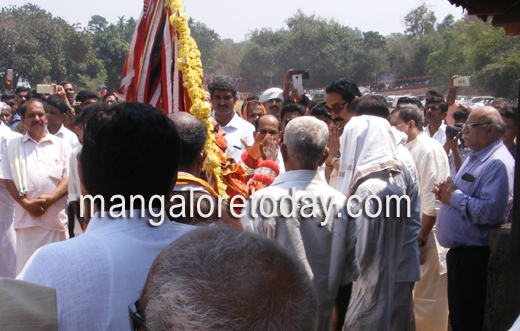 Nemotsava became an annual event in 2004, when the temple, which was destroyed in a fire in 1994, was reconstructed under the support of Mr.Sudhir Shetty and his family members. 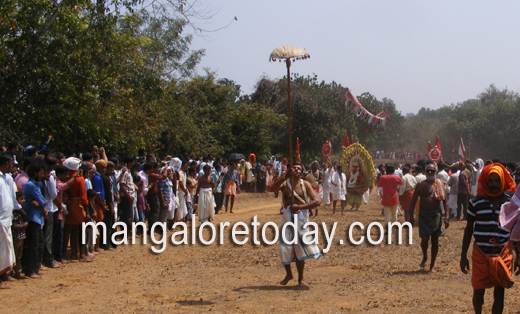 During the course of the five-day event, meals and refreshments are served to the guests and local people. 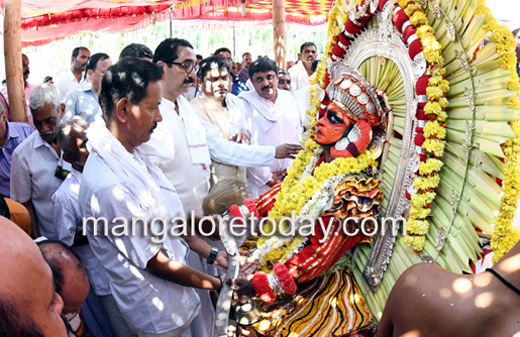 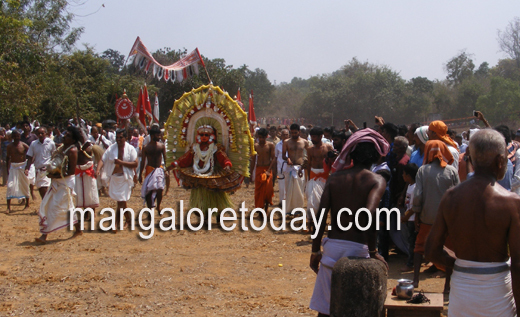 Villagers are now immensely happy that the Pilichamundi and Parivara Daiva Nemotsava being held every year in grandeur. 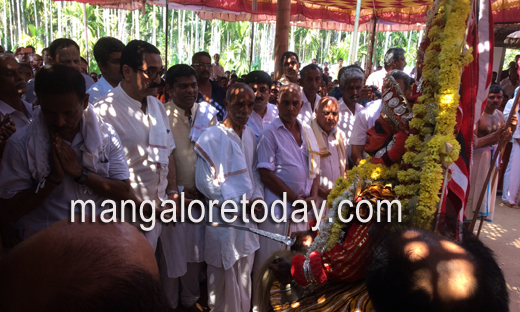 Thanks to Sudhir Shetty and family.